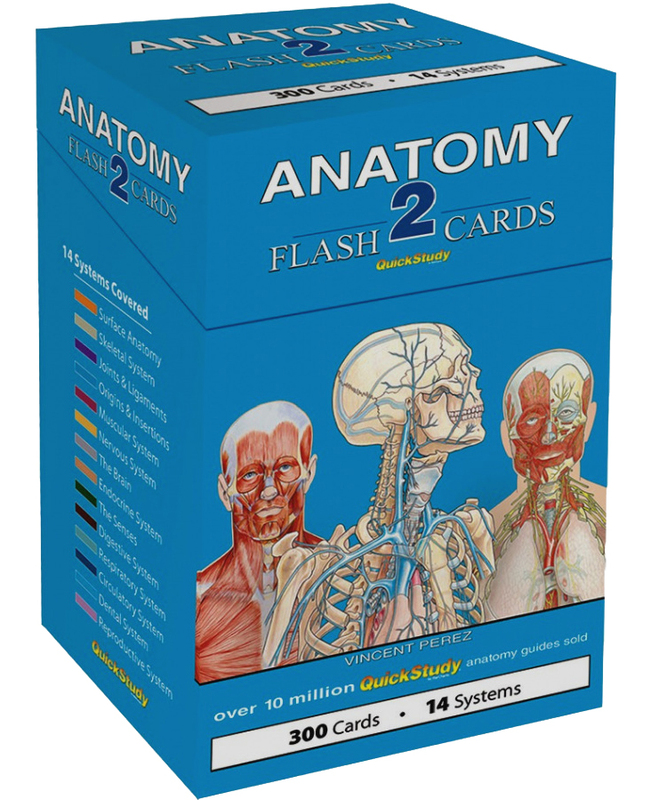 BARCHART ANATOMY 2 300 full-color cards on 14 human body systems, covering parts that could not be covered on our first set of cards. To truly offer the benefit of flash cards for memory retention, we included the maximum number of body part labels per card that short-term memory can retain and move to long-term memory. This second set adds a few systems beautifully illustrated by award winning medical illustrator Vincent Perez. With images and numbered labels naming parts on one side and just the numbered parts on the other, students can easily test themselves or their study partner. There is nothing else that compares in quality, number of cards and price.